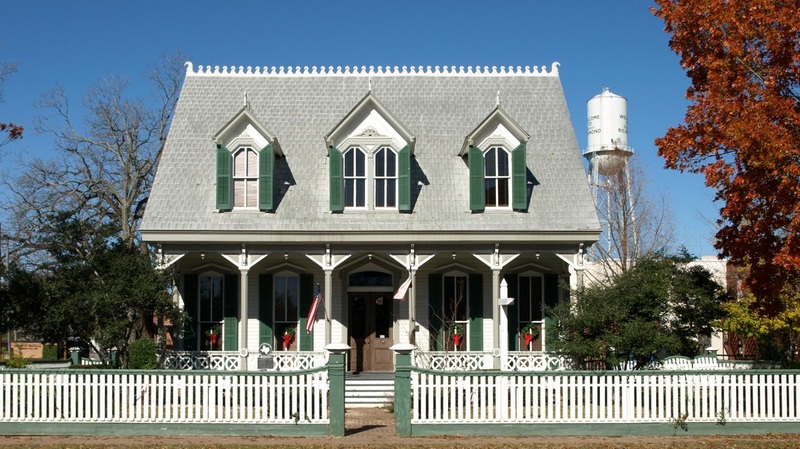 "The settlement of Fort Bend County began in the early 1820s as part of the Anglo-American colonization of Texas under the auspices of the Spanish government. Authorization to settle 300 families in the valleys of the Brazos and Colorado rivers was initially granted to Moses Austin, but plans were delayed by his death in June 1821 and Mexican independence from Spain. ﻿﻿﻿﻿﻿﻿Stephen F. Austin ﻿﻿﻿﻿﻿﻿assumed the responsibility of leadership from his father and gained confirmation of the original Spanish grants from the newly established Mexican government in 1823. "In 1822 a small party of men ... traveled inland some ninety miles and, on a bluff near a deep bend in the river, built a two-room cabin. As the settlement grew, the cabin became known as both Fort Settlement and Fort Bend; the latter name, in time, prevailed. "In May 1837 the Congress of the Republic of Texas passed an act incorporating nineteen towns, including Richmond. Robert Eden Handy of Pennsylvania and William Lusk of Richmond, Virginia, both of whom had arrived in Texas shortly before the war for independence from Mexico, founded and named the town with eight other proprietors. An act establishing Fort Bend County and fixing its boundaries was passed on December 29, 1837." 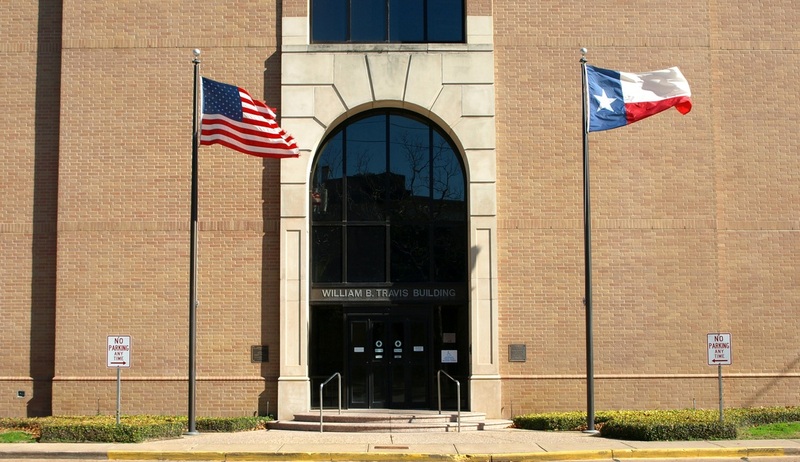 I visited Fort Bend County and photographed the courthouses on March 28, 2010, January 1, 2012, and September 9, 2012. 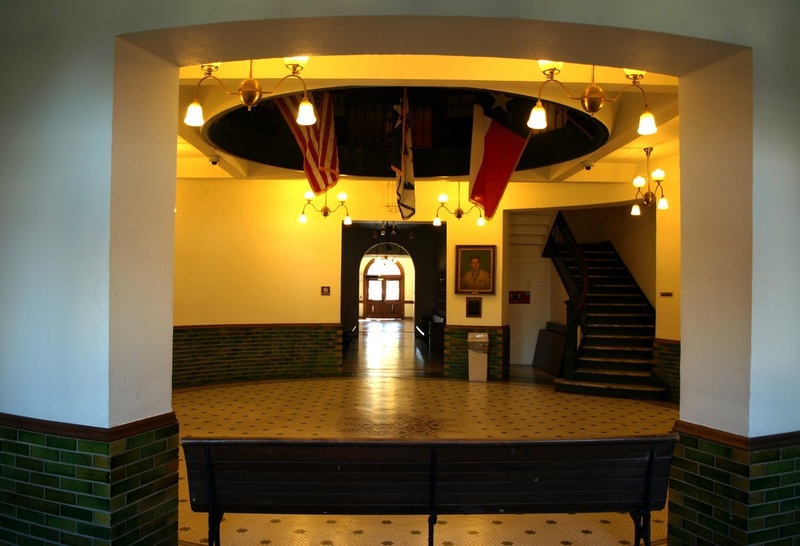 "Erected in 1908, the Fort Bend County Courthouse is one of the fine examples of classical revival architecture found in Texas Courthouses of this period. "Designed by C.H. Page and Brothers of Austin, the original building is a three-story masonry load bearing structure with a raised concrete foundation. It has had two major additions, the first in 1935, the second in 1957." 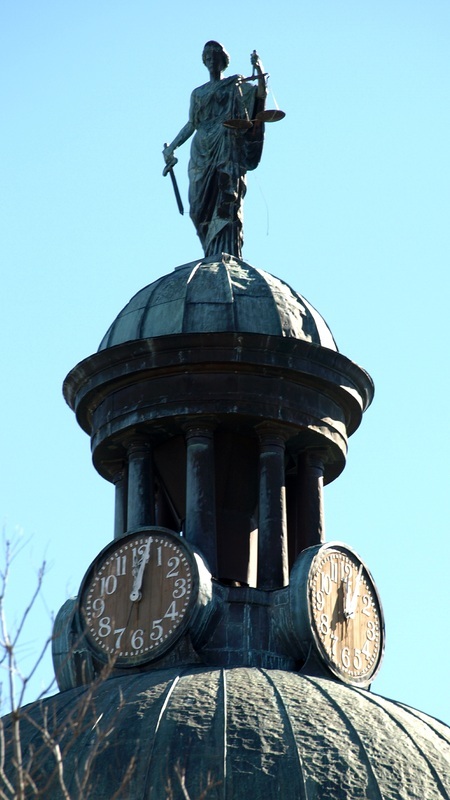 In 1909 the architects used this design for the Hays County courthouse in San Marcos; a virtually identical building to the Fort Bend courthouse,save for the clock tower. Fort Bend County is a suburb of Houston (Harris County) and is urbanizing rapidly as a result. In recent years addition county buildings had been constructed to accomodate the growing population, including a new jail, and, most recently, a justice center. 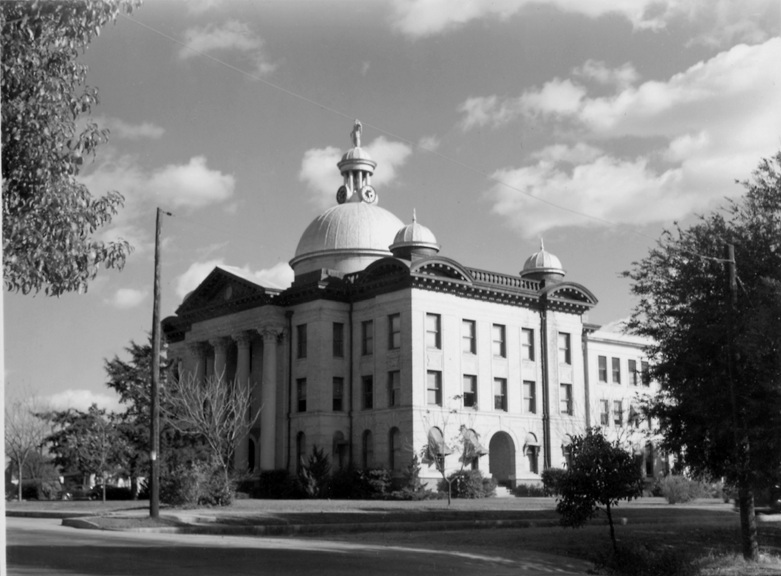 Courthouse photograph circa 1939, courtesy TXDOT. 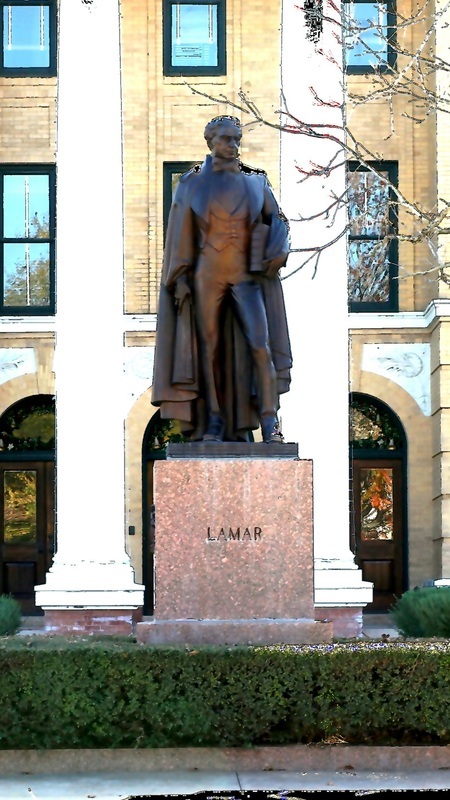 Mirabeau B. Lamar stands watch at the front of the courthouse. Lady Justice keeps watch above. The courthouse faces north. Unfortunately, this entrance, along with the east and west doors, are closed to the public at present. A view of the courthouse atrium from the north door. The bench blocks access to the front doors! The south facade of the courthouse consists of additions dating from 1935 and 1957. This is now the public entrance, although the building is officially closed, pending alterations. 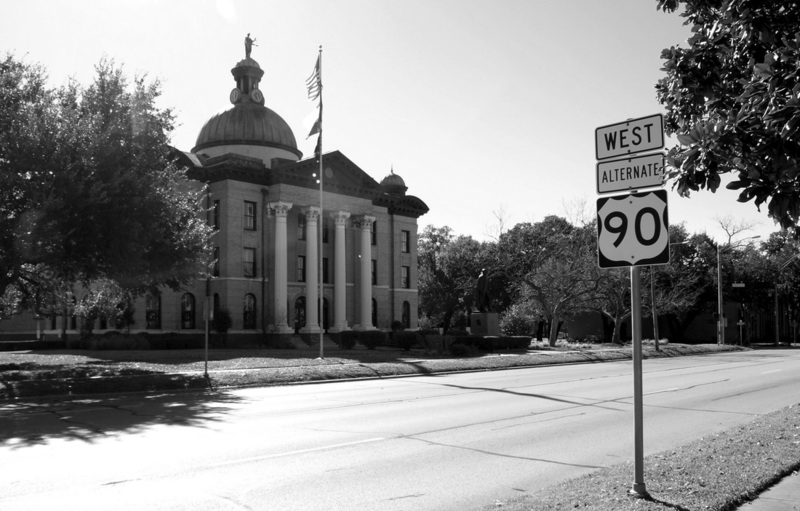 The Jane Long County Office Building is on the west side of the historic courthouse. Large live oak trees line the street. The 1988 courthouse annex is east of the historic courthouse. Scale is an issue for this building, to say the least. West entrance of the 1988 annex. Again, problems with scale. A couple of blocks north of the courthouse the main east-west line of the former Southern Pacific Railroad passes through Richmond. 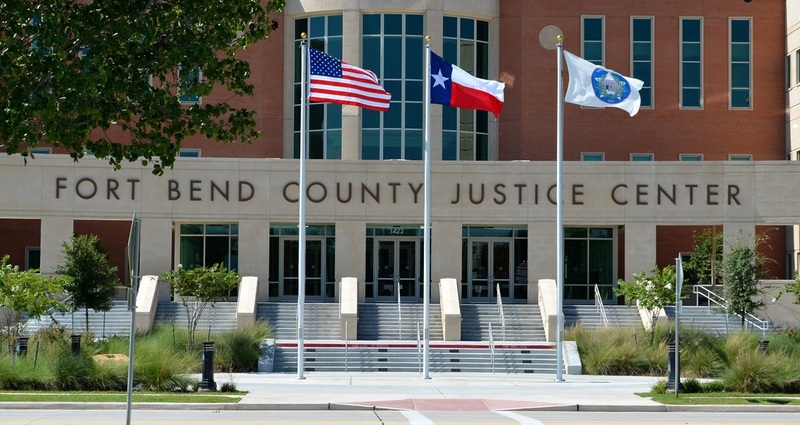 The west facade of the 2011 Fort Bend County Justice Center. 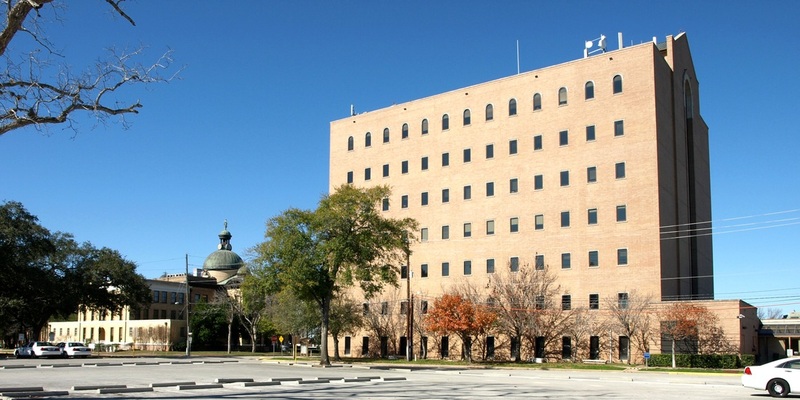 The east facade of the Justice Center faces the Brazos River. Not that you can see the river from the building, but it's there. The Justice Center entrance on the east facade. Isaac McFarlane Residence, from the 1880's, is across the street from the courthouse. John Moore Residence, 1883. 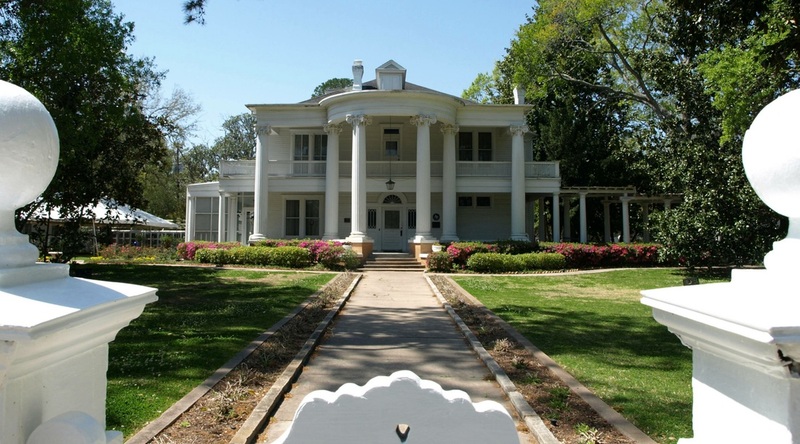 Remodeled in 1905 from its original Victorian design to a neo-classical style popular in the early 20th century. 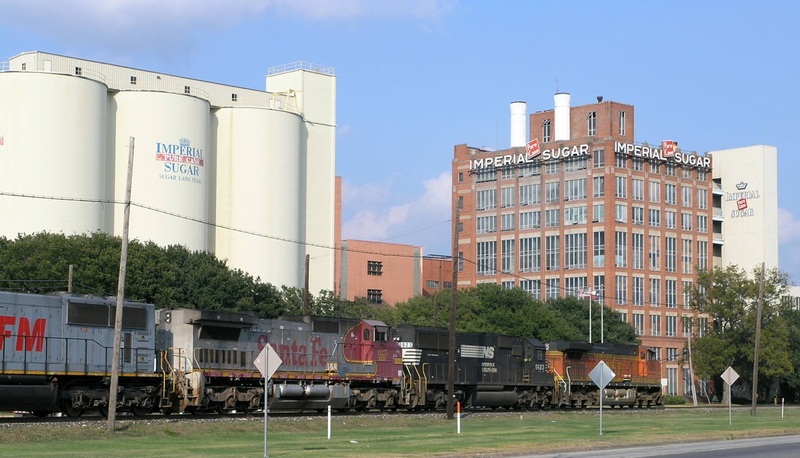 Fort Bend County is home to Sugar Land, site of the original Imperial Sugar plant.